The global fermenters market size was valued at $1,135.5 million in 2017, and is projected to reach $1,781.3 million by 2025, growing at a CAGR of 5.7% from 2018 to 2025. Fermenters are complex vessels designed to maintain optimum environmental conditions for the growth of microorganisms. Fermenters are cylinder-shaped structures in which biological processes are carried out under a controlled environment. Agitation speed, aeration rate, heating intensity or cooling rate, and nutrients feeding rate play a vital role in fermenters and hence are closely monitored and controlled. The fermenters should be strong and robust enough to withstand the diversified treatment requirements such as exposure to high pressure and heat, withstanding strong chemicals, and washing & cleaning processes. Stakeholders in the fermenters industry are now massively focusing on customization. In the past few years, upsurge in customization offered to customers have been witnessed. While customization in fermenters helps manufacturers to capture white space opportunities in the market, novel innovations in sensors and actuators technologies have resulted in scale downsize of fermenters, opening new growth avenues for fermenters market. However, factors such as high cost of fermenters and commercial viability of very large-scale fermenters are expected to restrain the global fermenters market growth. In addition, large scale fermenters are often prone to problems in heating, mixing, and essential parameter control such as pH, temperature, humidity, and handling of large volume of liquids and gases. Moreover, designing of large-scale fermenters becomes extremely complicated due to high maintenance costs, initial set up cost, and high lead times, which in turn are anticipated to restrain the market growth. Due to rise in competition and increase in challenges for organic growth, the fermenters market is expected to witness significant growth with mergers, acquisitions, and partnerships with companies seeking to expand into new markets and differentiate themselves. For examples, Thermo Fisher has acquired bioprocessing equipment maker ASI for $300 million, Pall acquisition of ATMI LifeSciences to name few. Mergers and acquisitions provide opportunities to meet customer demand for quality and productivity along with leveraging global reach to bring innovative products to a larger customer base. To better understand the fermenters market forecast and opportunities, a comprehensive global analysis based on process, application, and mode of operation has been presented in this report. Based on process, the market is segmented into batch fermentation, continuous fermentation, and others. Continues fermentation segment is expected to grow with highest CAGR and is expected to retain its dominance throughout the forecast period due to higher efficacy in growth and production of microbes. Furthermore, turnover rate that is conversion of the substance into desired products is high as compared to its counterparts. In addition, continuous fermenters provide high yield as a result of faster nutrients consumption rate. Based on application, the market is divided into food, beverage, healthcare & personal care, and others. The healthcare & personal care segment is expected to witness rapid growth during the forecast period due to increase in demand for active pharmaceutical ingredients and vaccines around the world. Furthermore, rise in demand for antibiotics fuel the demand for fermenters around the world. Increased demand for antibiotics can be attributed to increased consumption of antibiotics in low- & middle-income countries, major investments in R&D activities by pharmaceutical companies, and rise in prevalence of infectious diseases. However, the beverage segment is expected to dominate the global fermenters market share throughout the forecast period. Based on mode of operation, the global fermenters market is bifurcated into semi-automatic and automatic. The automatic segment is poised to grow with higher CAGR during the forecast period, owing to wide acceptance from commercial and industrial application. Furthermore, the automatic fermenters are highly preferred in medium- to high-scale production. In addition, they also allow cost efficacy of batch processing and commercial scalability. The fermenters market is analyzed across North America, Europe, Asia-Pacific, and LAMEA. North America accounts for the highest market share due to the presence of leading market players in this region. The European market to witnesses sluggish growth, as fermenters market have reached maturity stage in product life cycle. The Asia-Pacific fermenters market is anticipated to witness significant growth in the near future, owing to increase in research and development centers leading to establishment of advanced laboratories, rise in investment of pharmaceutical industry, and increase in demand for alcohol such as beer and wine in the region. Technological advancements have led to the development of advanced fermenters capable of controlling environment inside fermenter much efficiently and accurately. 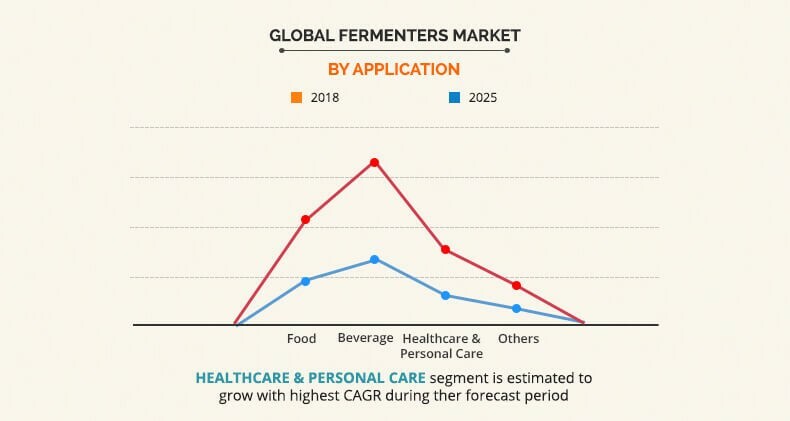 Furthermore, increase in demand for alcohol in both developing and developed regions is expected to fuel the growth of the fermenters market. The report provides an extensive analysis of the current and emerging fermenters market trends and opportunities. 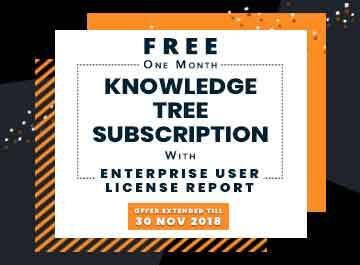 The report provides detailed qualitative and quantitative analysis of the current trends and future estimations that help evaluate the prevailing market opportunities. A comprehensive analysis of the factors that drive and restrict the growth of the market is provided in this study. Global fermenters market analysis is conducted by following key product positioning and monitoring the top competitors within the market framework. The report provides extensive qualitative insights on the potential and niche segments or regions exhibiting favorable growth. 8.11. Thermo Fisher Scientific Inc.
Fermenters are complex vessels designed to maintain optimum environmental conditions for the growth of microorganisms. Fermenters are used for supporting microorganisms during fermentation process. The size of fermenters ranges from milliliters to cubic meters and are generally made up of stainless steel or glass. The operation and design of fermenter mainly depend on the organism used for fermentation and optimum conditions required for the desired product formation. The fermenters market is still in growth stage in developing regions, and is expected to witness significant growth in the coming years, owing to the fact that the developing regions are now shifting their focus toward more sustainable solutions like biofuels. In addition, increased R&D in the said the developing regions is further expected to increase the demand for fermenters. Moreover, LAMEA and Asia-Pacific are anticipated to register significant growth as compared to the saturated markets of Europe and North America due to growth in the pharmaceutical industry in the region, easing regulations and increased foreign direct investment in the region. Furthermore, in order to strengthen global as well as regional market position leading stakeholders in the global market are venture in acquisition and partnerships. Acquisition opens up a great opportunity to meet customer demand for quality and productivity along with leveraging global reach to bring innovative products to a larger customer base.